There are many ways to describe it: tossing your cookies, hugging the porcelain, calling for Ralph or letting out a technicolor yawn. but no matter what you call it, it’s no laughing matter. Motion sickness (seasickness, or “mal de mer”) is a common problem of boaters and divers. At best it is annoying, and at worst it becomes totally disabling. I will never forget crossing the ocean between Truk Lagoon and Pohnpei through very rough seas. As our boat scaled 10-foot/3-m swells and bounced off the backside of the rhythmic aquatic heights, my shipmates, a group of bronzed, sun-worshipping divers, went from golden-hued to green around the gills as soon as the seas picked up. Fortunately, I had placed a scopolamine patch (see below) behind my ear as soon as the surface began to get choppy. The drug worked well, and I was spared the wrath of an unsettled sea — and stomach. Seasickness is a complex phenomenon that involves the cerebellum (part of the brain that controls, among other things, balance), vestibular system (labyrinth of the inner ear that plays a major part in the control of equilibrium), the nerve connections between the eyes and the inner ear, and the gastrointestinal tract. It is made worse by alcohol ingestion, emotional upset, noxious odors (e.g., diesel exhaust fumes) and inner ear injury or infection. Motion sickness can be induced in a person who is not moving by having him watch an image of changing motion, such as a car chase or roller-coaster ride. Some of the special effects in current movies, particularly large-format ones like IMAX, can cause viewers to become dizzy or even mildly motion sick. Most persons adapt to real motion after a few days, but may require medication until they are adjusted to the environment. Signs and symptoms of seasickness include a sensation of dizziness or spinning, a sensation of falling, pale skin color, sweating, nausea, weakness, yawning and increased salivation. Vomiting may provide temporary relief, but prolonged salvation does not occur until the inner ear labyrinth acclimatizes to motion or someone intervenes with medication. Keep your eyes fixed on a steady point in the distance. If on board a ship, stay on deck. Splash your face with cold water. 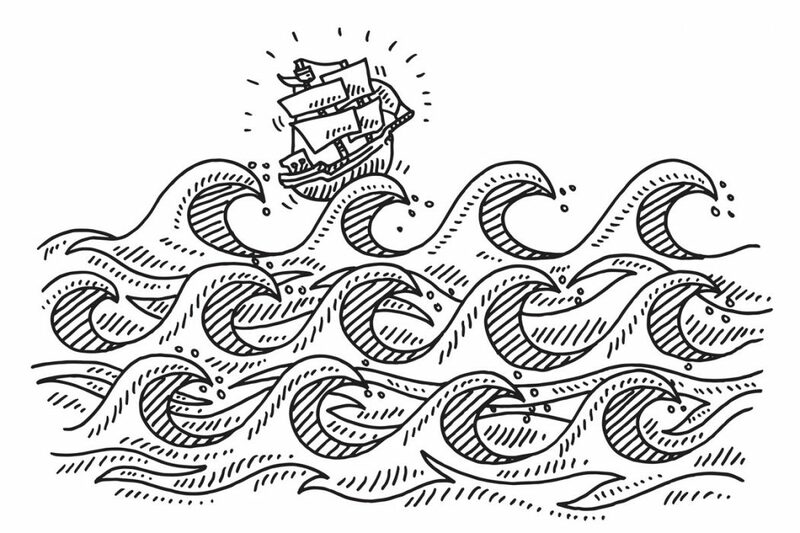 If the seas are rough, be careful not to slip or fall overboard. Take meclizine (Antivert, Bonine) or cyclizine (Marezine) 25 mg orally, or dimenhydrinate (Dramamine) 50 mg orally, every six to 12 hours as necessary to prevent and control motion sickness. To be most effective, the first dose of medication should precede the environmental change by one hour. Medication given after the onset of seasickness will often be ineffective. Obviously, if you are vomiting and cannot keep any medication down, you may need to use a suppository, such as prochlorperazine (Compazine) 25 mg or promethazine (Phenergen) 25 mg, noting that these drugs won’t cure the motion sickness. They might control vomiting, but have the side effect of drowsiness. Astemizole (Hismanal) is a nonsedating antihistamine that appears to suppress motion sickness as a side effect in some individuals. The dose is 10 mg by mouth every 24 hours. Persons with impaired liver function or who are taking ketoconazole, itraconazole, erythromycin, clarithromycin, or troleandomycin should not take this drug. Place a transdermal scopolamine patch (Transderm-Scop) on the skin behind the ear. This patch releases the drug slowly through the skin and is effective against motion sickness for up to three days. Side effects include drowsiness, blurred vision (sometimes with a dilated pupil in the eye on the side of the patch), decreased sweating, difficulty with urination (particularly in elder males with enlarged prostate glands), dry mouth and a propensity to be susceptible to heat illness during times of heat exposure. On rare occasions, a person who uses a patch can become delirious as a side effect. Normal behavior returns within a few hours after the patch is removed. The patch should be positioned at least three hours before rough seas are encountered. If you touch the medicated (sticky) side of the patch with a finger and then let that finger come in contact with your eye, your pupil will almost certainly dilate and stay that way for up to eight hours. Some persons report that wearing a “sea band” is helpful. This is a knitted, elastic stretch band with a button(s) that applies pressure to an acupuncture point(s). Do not consume alcoholic beverages, because these make you more prone to vertigo. If you are on a large boat that is rocking bow to stern, seek the middle (equilibrium) of the vessel, so that motion is minimized. Some people recommend “keeping something in your stomach” during a bout of seasickness. You can put something in there, but if you are truly seasick, it won’t stay there for long. Try to keep your fluid intake up with sips of something like an electrolyte-containing sports beverage (e.g., GatoradeTM). If you are known to suffer from seasickness, take particular care to be well-hydrated before your journey, because you will at a minimum have decreased appetite and fluid intake, and in the worst case, lose a fair bit of fluid by throwing it up. Headache, ringing in the ears, weakness in an arm or leg, difficulty with speech, difficulty swallowing, decreased vision or palpitations are not features of motion sickness and should raise suspicions of another cause of dizziness. If any of these occur, particularly if the seas are not particularly rough and no one else is suffering, the victim should seek medical attention. Similarly, if the symptoms occur after a dive, one must consider the possibility of central nervous system decompression sickness (bends) or arterial gas embolism. Finally, don’t try to cure serious motion sickness by putting on your dive gear and heading underwater. Mild nausea attributable to seasickness may disappear when you get under the surface (and the objectionable motion ceases), but you shouldn’t put yourself or your dive buddies in a situation where you might throw up underwater. Getting sick when you are in the water can lead to panic and a serious diving accident.